On the hour, Eastleigh were on the front foot again, this time Jamie Brown’s clipped pass into the danger zone was just beyond Jamie Slabber’s outstretched leg. In the 71st minute McNerney’s goal-bound header hit his own player on the goal line from a corner kick. Meanwhile Eastleigh conjured up a chance of their own twelve minutes from time, when Frankie Raymond’s 50-yard cross-field pass from left back to find the run of Holder-Spooner led to a chance for Richard Gillespie. Eastleigh must have felt they had scored to take the lead but Gillespie’s close range effort was clawed back off the goal line. A slightly better contact on the ball and it would have been a goal. Eastleigh will be pleased with the point and well-earned clean sheet. The team spirit and work ethic shown through for all to see. Should the Spitfires turn in another performance of this standard, it will only be a matter of time before the club’s first win of the campaign. 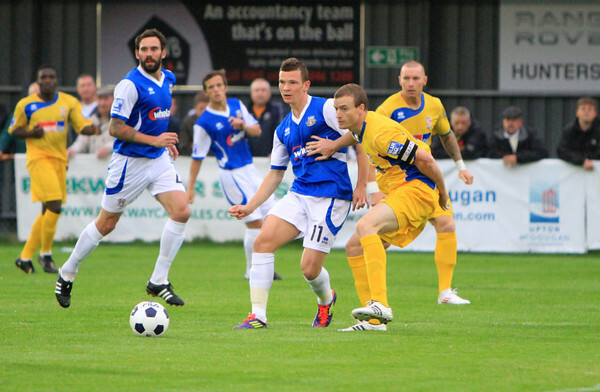 Next up for Eastleigh, is a Friday night away trip to Dorchester Town.